T1000 RADIO FEAT. WEHBBA THIS FRIDAY! Wehbba truly is a techno sensation! The Brazilian producer has been making big waves for a decade, with support from techno titan Christian Smith and legends such as Laurent Garnier, Sharam Jey and Joseph Capriati. 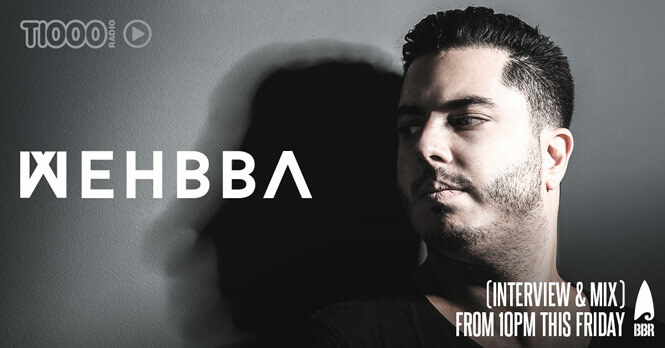 2015 saw Wehbba release some of the year’s best tracks and remixes, on some of the industry’s most respected labels. Now ahead of a mammoth 2016, including some big tours, Wehbba chats to T1000’s Mark Gilmour about his sound and his love of Australia! You can check out any of our previous T1000 Radio shows on our Soundcloud. Comments Off on T1000 RADIO FEAT. WEHBBA THIS FRIDAY! SUMMIT DJS ON T1000 RADIO FRIDAY!